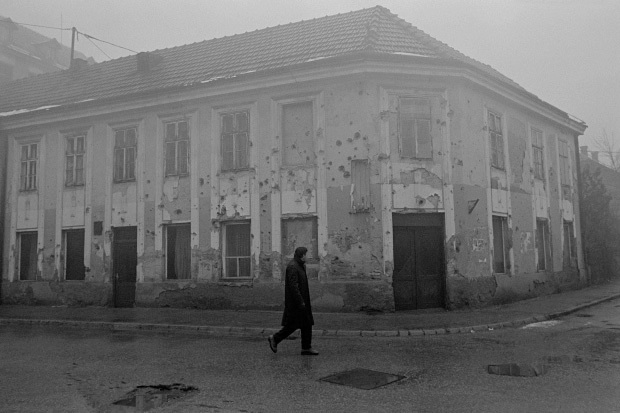 The Bosnian War was a complex military conflict in the region of Bosnia and Herzegovina, between April 6th 1992 and December 14th 1995. 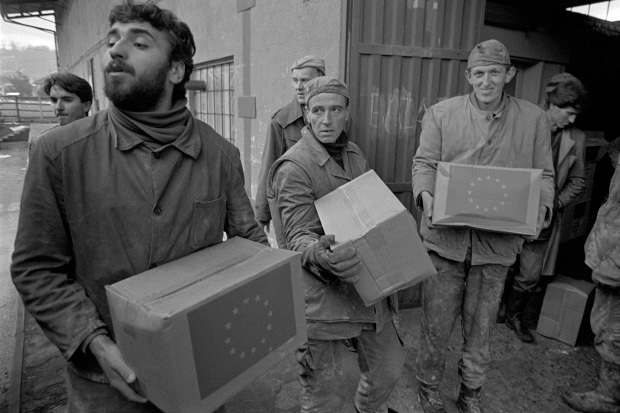 The war was caused by a political, social and ethnic crisis following the end of the Cold War and the fall of the socialist system in Yugoslavia. A frenzy of nationalism, ethnic cleansing and genocide followed, killing an estimated 100,000 people and displacing1.8 million. 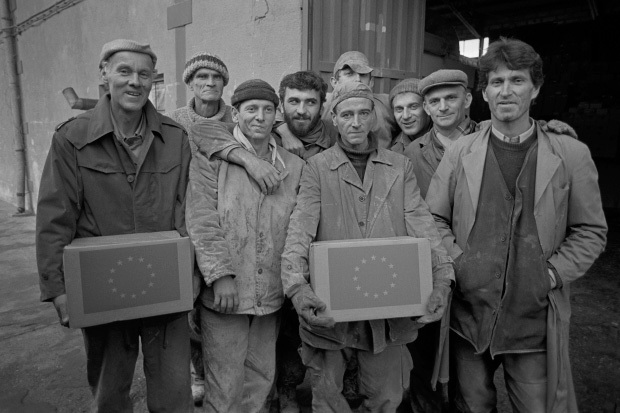 The following selection of photographs and interviews were taken during a 3 week assignment to the enclave of Tuzla in eastern Bosnia during December 1993 on behalf of aid agency Oxfam. 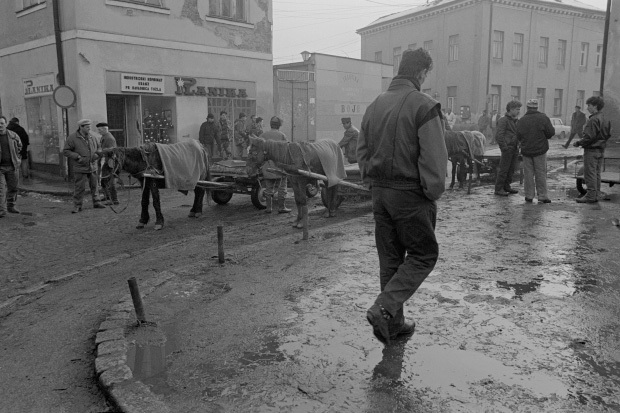 At that time Tuzla had been blockaded by Serbian Armed forces for 10 months. A small amount of humanitarian aid arrived by UNHCR convoy, the only other way to enter Tuzla was by UN helicopters. 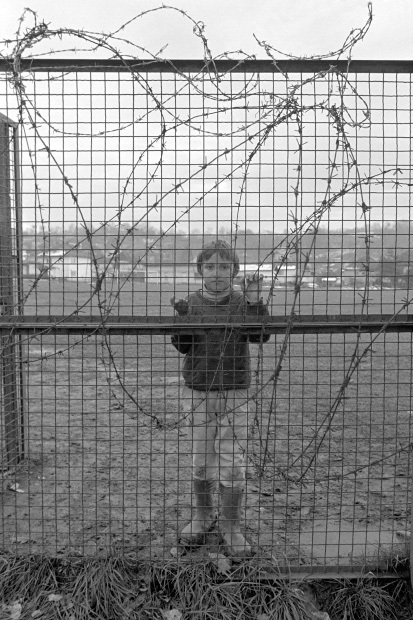 My brief was to photograph the distribution of winter clothing and footwear to refugees, provide publicity images that will be used to raise public awareness to the plight facing refugees during the approaching winter and produce persuasive imagery for Oxfam’s 1994 ‘The Cold Front Appeal’. 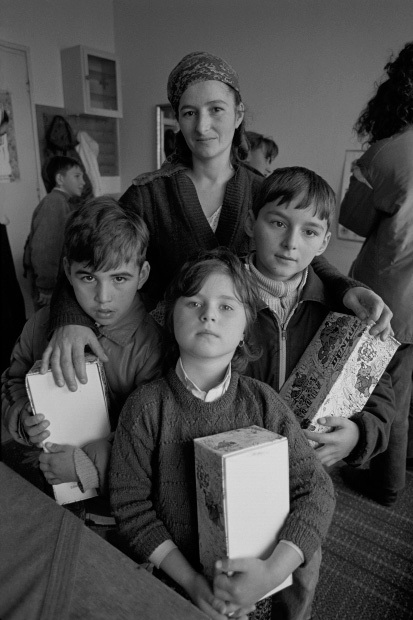 I first travelled to Split in Croatia where I had the opportunity to photograph and interview a refugee family of Catholic Croats from the village of Vrlika whose entire population of 500 residents had been ethnically cleansed by Serbian Armed Forces in 1991. (see later interview). 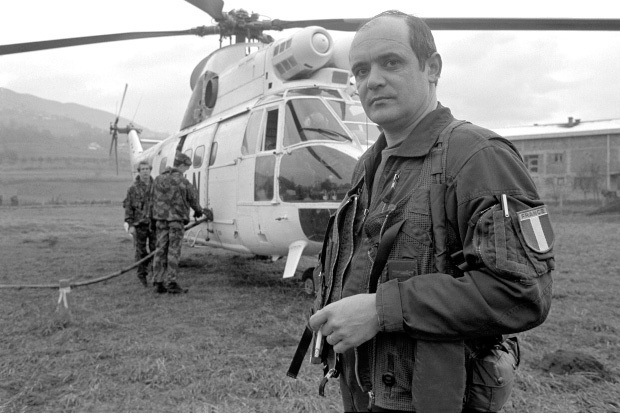 As a temporary member of the UNHCR I then made my way by UN helicopters to the industrial city of Tuzla in eastern Bosnia where I was based for the remainder of this assignment. 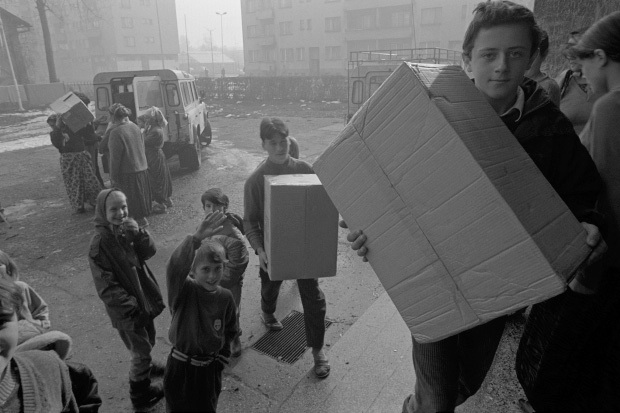 As Tuzla was under siege by Serbian armed forces, only limited UNHCR humanitarian convoys know as the ‘Tuzla Nomads’ had road access into the city. 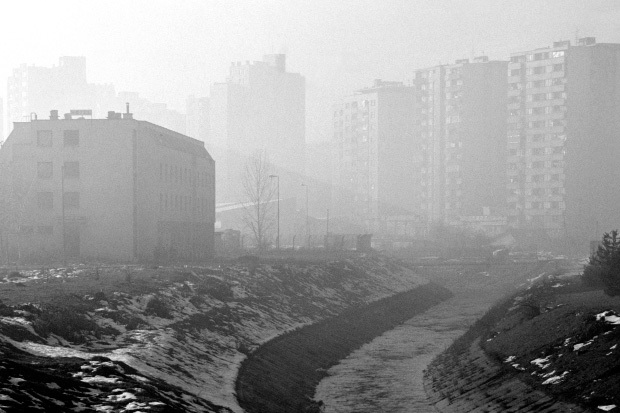 On arrival in Tuzla an overwhelming smell of raw sewage and wood smoke permeated throughout the city. In order to intimidate and create fear in the population Tuzla was randomly shelled each day from Serbian Army artillery positions 9km away. The power station had been damaged, which meant only limited electricity was available each day, often only one hour per day. Wood fires were the main source of heating and cooking, car batteries were charged when electricity was available which provided limited 12 volt lighting during the evenings. 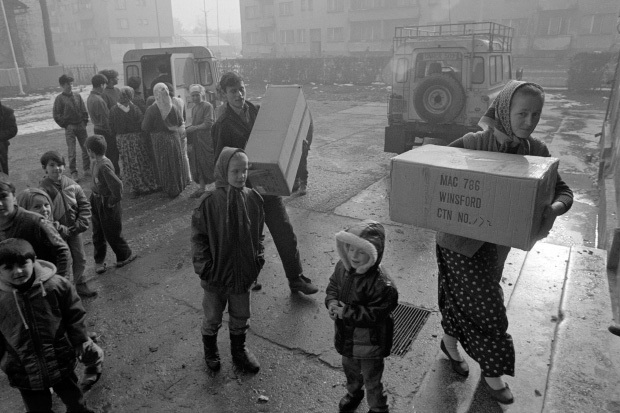 The ethnic cleansing of Bosnian Muslims from the surrounding districts had doubled the city population, straining its already limited resources, refugees were housed in schools, sports halls and public buildings. 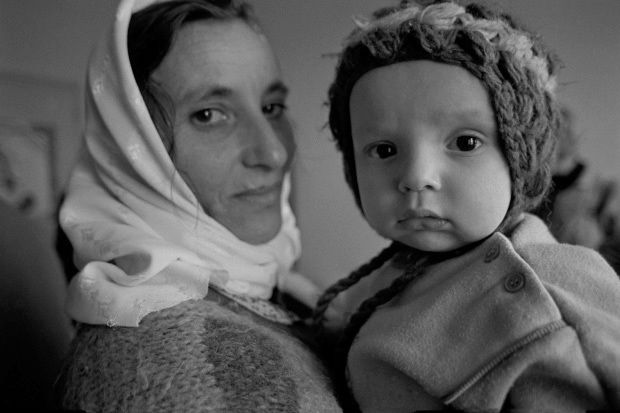 Their lives were one of constant uncertainty, with no future and most a horrific past. I shared a room with old friend and Oxfam’s Bosnia representative in Tuzla, Andrew Chadwick. A 7pm to 7am curfew was strictly enforced to as Serbian raiding parties were known to enter the city at night. The front door was securely barricaded each night, long cold nights were spent drinking illegally distilled slivovitz. Not only was it persistently cold working in Tuzla, this assignment was made especially difficult as there was huge resentment towards ‘outsiders’, any assistance to me was limited. 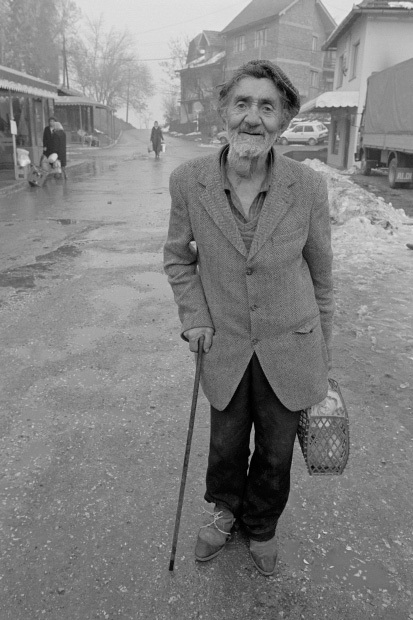 Bosnian Muslims justifiably considered they had been forgotten and abandoned by the western nations. Fortunately, I was assigned Oxfam’s programme manager Jasmina Husanović as translator and facilitator, her local knowledge and assistance was greatly appreciated. 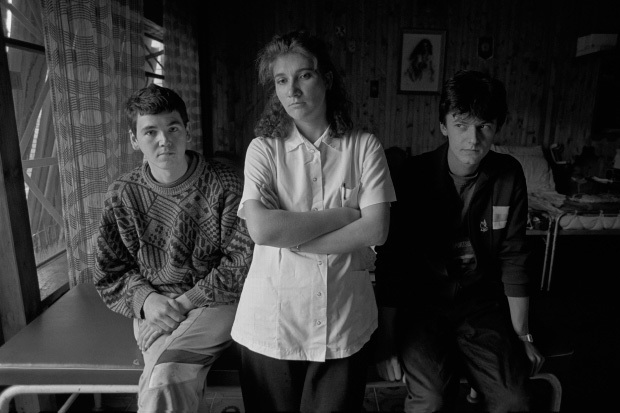 Images from this assignment were used in full page national newspaper advertisements and magazine articles to promote Oxfam’s 1994 ‘Cold Front Appeal’. 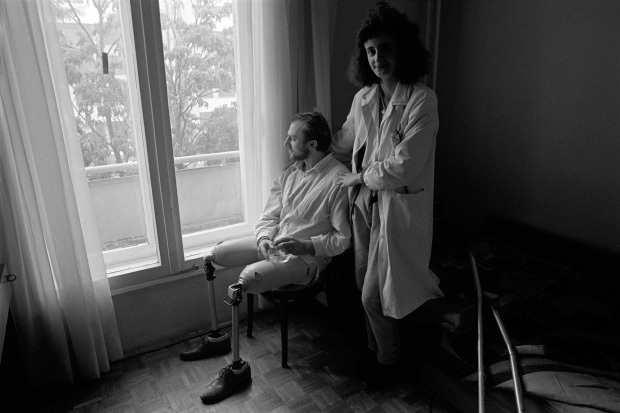 Tens of thousands of postcards were produced in the USA using an image of a wounded Bosnian soldier (BOS 35) by Students Against GEnocide (SAGE) and sent to President Bill Clinton protesting at the Serbian genocide and ethnic cleansing.They were demanding the lifting of an arms embargo which was denying the The Republic of Bosnia and Herzegovina the right to self-defence. 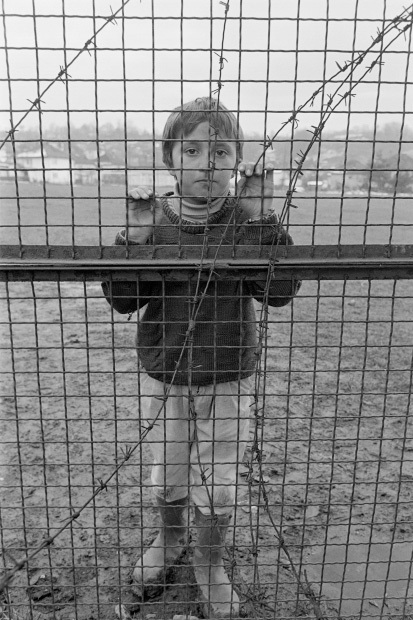 A photograph from this assignment was used as the poster image to promote The Oxford Playhouse production ‘Mirad: A Boy From Bosnia’, featuring Sinead Cusack and Jeremy Irons. The money raised was donated to Bosnian Relief. Hotel Marjan had been a former tourist hotel that had been requisitioned to house 500 refugees from the village of Vjliva. 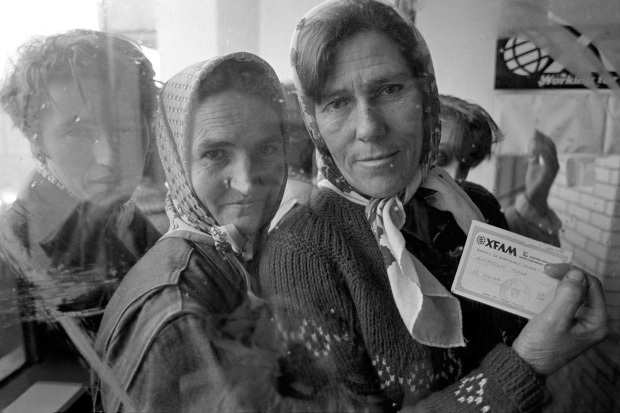 The interviewee and her family were part of the non Serbian population that were expelled or ‘ethnically cleansed’, from their village by Serbian Armed Forces in 1991. 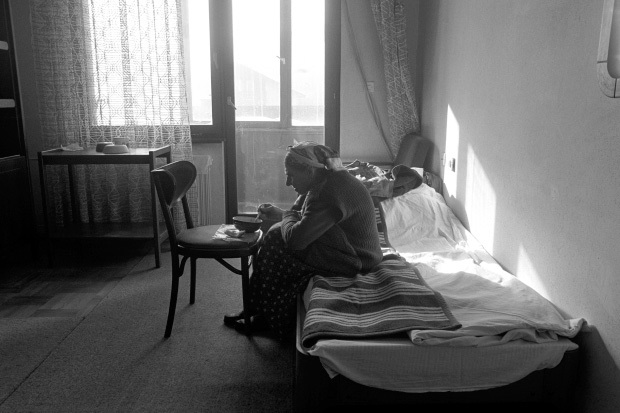 [BOS 01] Elderly Croatian refugee at the Hotel Marjan, Split. [BOS 02] Grandmother and her grandson. 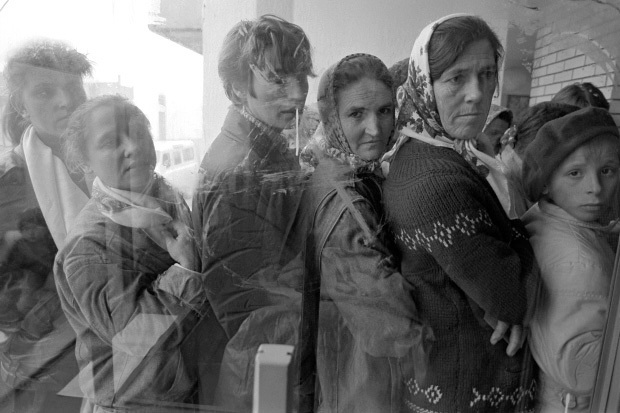 Croatian refugees at the Hotel Marjan, Split. This interview was carried out with the daughter of the woman featured in the photographs above, she did not want to be photographed or named. [BOS 03] UN Puma helicopter refuels en-route from Split to Tuzla air base, the French pilot takes a cigarette break. My journey to Tuzla was made by ‘bidding’ for a place on UN helicopters. The bidding process meant that anyone with a higher priority than myself was given a seat. My low level of priority meant it took four days to get to Tuzla. The journey was made by Gazelle and Puma helicopters. I was issued with a bullet proof jacket by Oxfam which on the advice of the other helicopter occupants should be removed and sat on as any gunfire was expected to come through the floor. 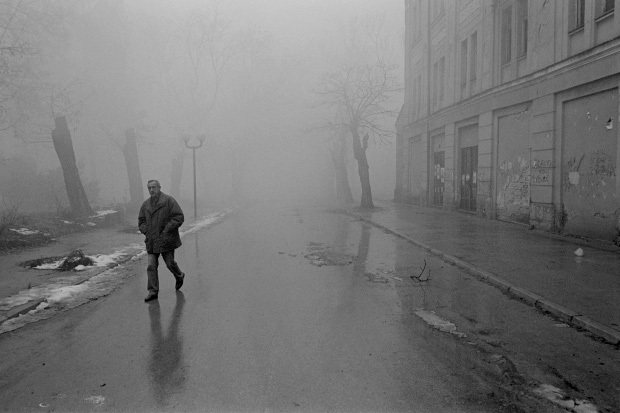 [BOS 04] Fog and wood smoke, a street scene in Tuzla. During the 10 month blockade of Tuzla only one hour of electricity was available each day, the tree tops (left) have been cut off and used for firewood. [BOS 05] Tuzla a modern city with no power. [BOS 06] Building pockmarked from gun fire. [BOS 07] Horse drawn carts are used for transport. The ten month blockade of Tuzla had meant no petrol or diesel has been delivered. [BOS 08] Street market selling used wood/coal burning cooking and heating stoves. 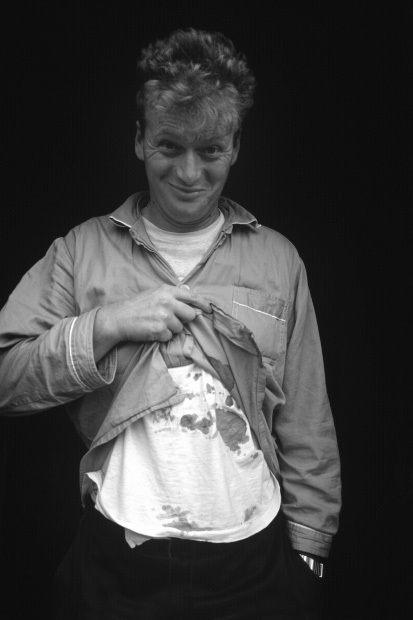 [BOS 09] This photograph was used to promote Oxfam’s ‘Cold Front Appeal’, 1994. It was used prominently in full page nation newspaper advertisements to raise awareness of the plight Bosnian Muslims are facing during the coming winter months. The appeal was for donations of winter clothing. 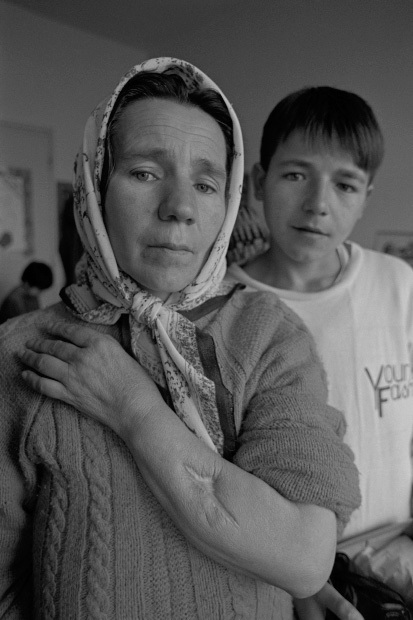 “I was wounded during a Serbian attack on my village and with the help of my brother was dragged to safety and evacuated to Tuzla by helicopter. I was able to survive and escape from the initial Serbian attack due to a strong counter-attack made by the Bosnian Muslim Army which briefly retook the village. 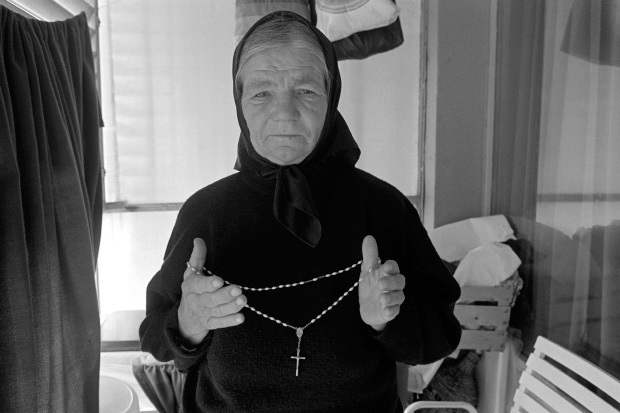 The village was later retaken and is now back under Serbian control, however my husband and my other children are still trapped in the village. We do not have shoes for the winter and do not have enough to eat. Our life is hard as a refugee, we have no money, job or relatives nearby and are completely dependant on humanitarian aid“. 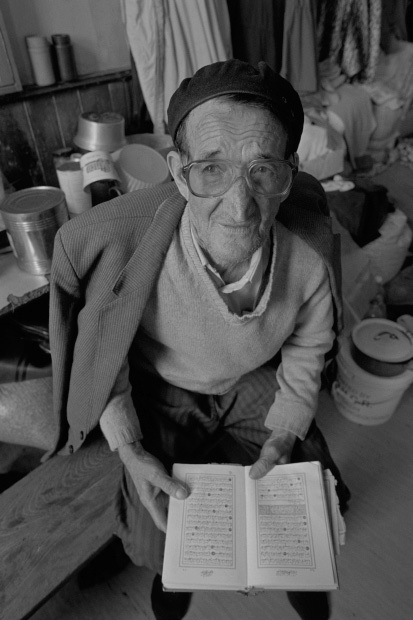 [BOS 11] Elderly man reading the Koran at a school being used to house refugees. 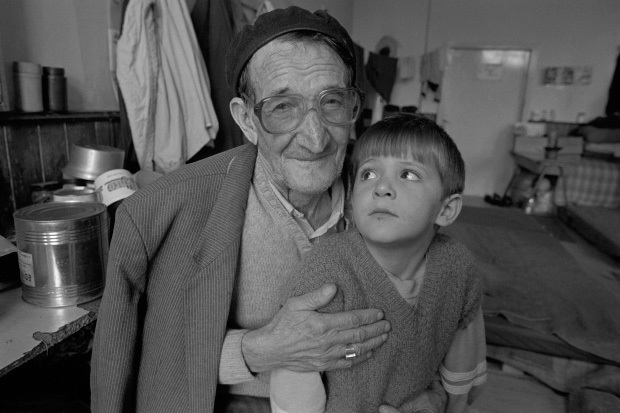 [BOS 12] Elderly man and his grandson at the refugee centre. 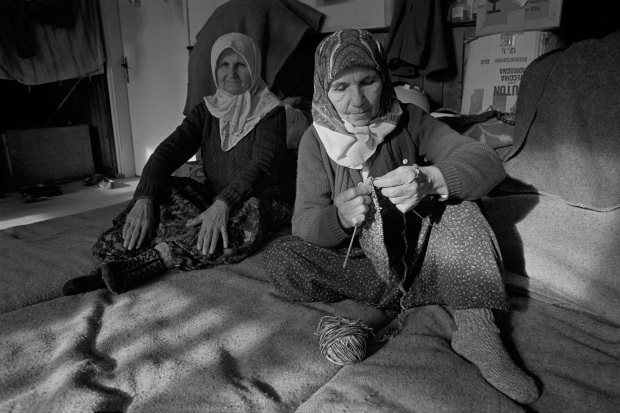 [BOS 13] Refugee women knitting winter clothing at the refugee centre. [BOS 14] Refugee boy from a nearby refugee centre asks for food and money. 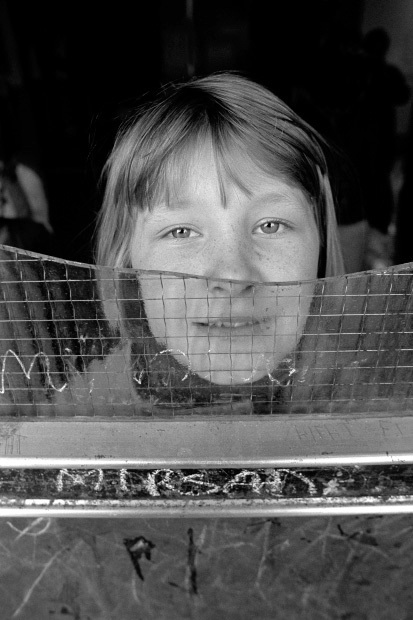 [BOS 15] This image was used on the Oxford Playhouse production poster for ‘Mirad: A Boy from Bosnia’. featuring Sinead Cusack and Jeremy Irons. Funds raised were in aid of Bosnian Relief. [BOS 16] Girl at refugee centre. [BOS 17] EC humanitarian aid being unloaded from a recently arrived UN convoy. [BOS 18] Warehousemen at a UN aid storage depot. [BOS 19] Winter clothing and shoes from Oxfam being unloaded into a secure distribution centre. [BOS 20] Winter clothing and shoes from Oxfam being unloaded. [BOS 21] Refugees queue in the rain to enter Oxfam’s clothing distribution shop. [BOS 22] Refugee with clothing entitlement card. [BOS 23] Family with children’s new shoes provided by Oxfam. 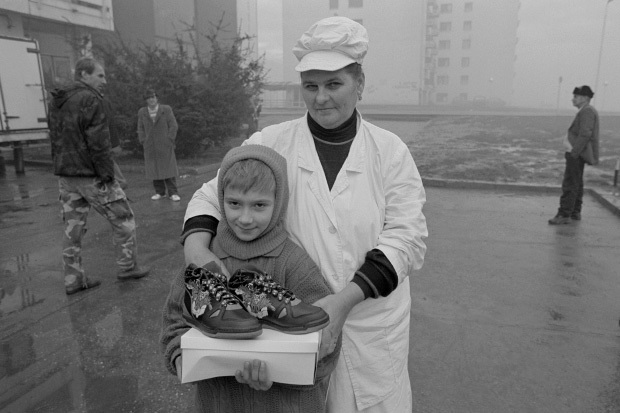 [BOS 24] Boy and mother with new trainers. [BOS 25] Boy’s selling cigarettes. 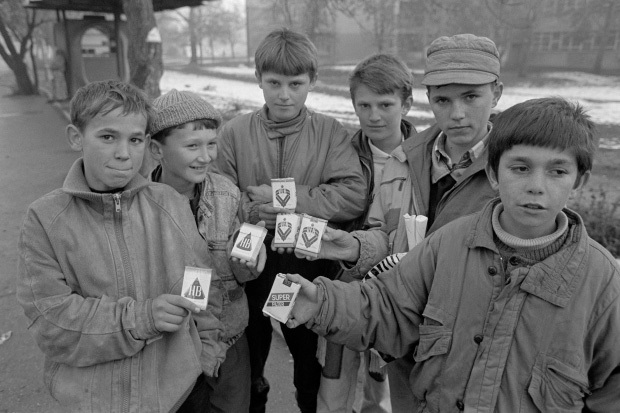 Children selling smuggled cigarettes was common place. 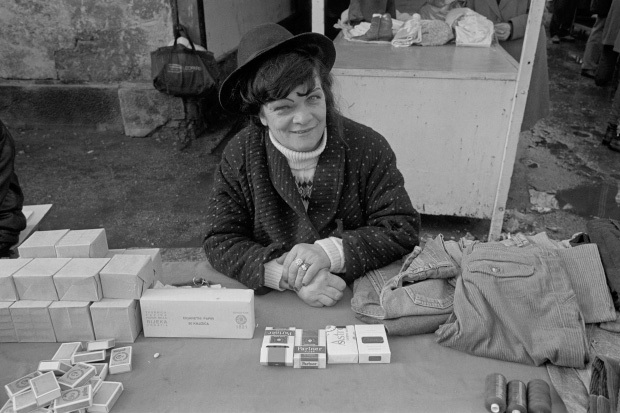 [BOS 26] Woman selling cigarettes, matches and secondhand clothing from a makeshift stall. [BOS 27] Street boys. With absent parents, boys wander the streets. [BOS 28] Old man with neck goitre returns home with the only food he can afford, bread and a cabbage. [BOS 29] Old woman living in housing block with no electricity, soup is delivered from a community canteen. 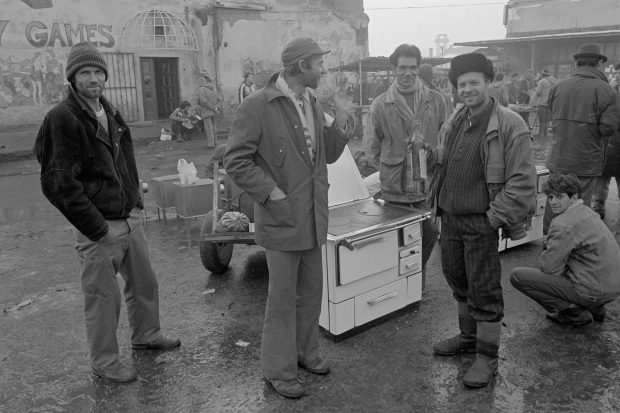 [BOS 30] Doctor and orderlies at a field dressing station on the outskirts of Tuzla. [BOS 31] Wounded soldier is visited by his friends at a field dressing station. [BOS 32] Wounded soldier shows his stomach wound. 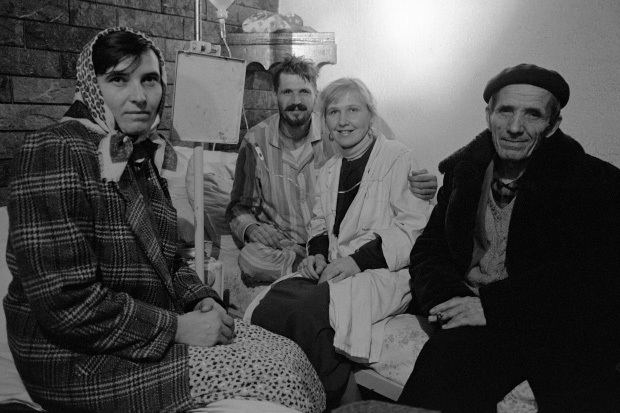 [BOS 33] Wounded soldier with doctor and parents in the basement of a field dressing station. [BOS 34] Wounded soldier and doctor. 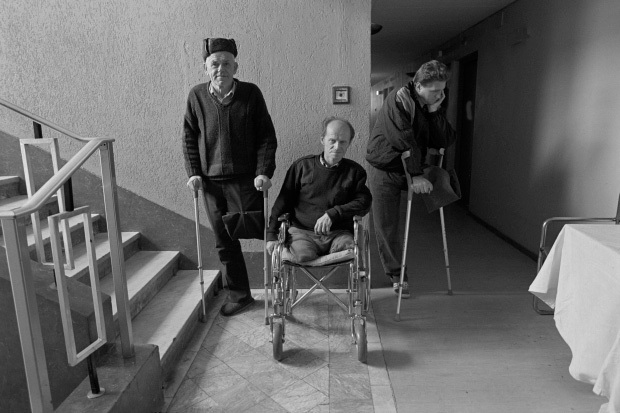 “I was a soldier injured by a mortar shell in Srebrenica which killed my two friends, I was transported to hospital two days later. I consider myself lucky as the shell landed at my feet, cutting my legs off immediately, however, the trajectory of the shrapnel hit my comrades in the chest and head killing them. 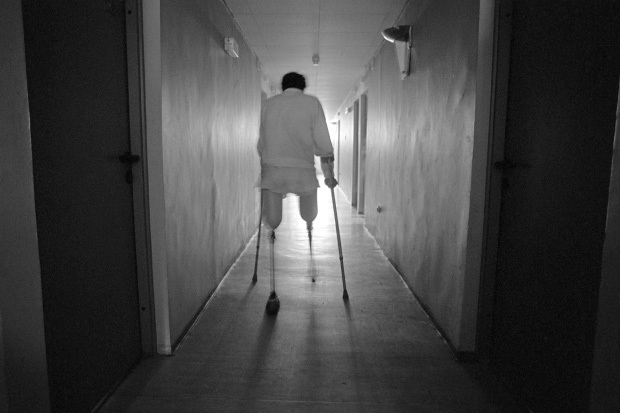 I want to return to the front line again and want to thank Handicap International for my new legs and jeans“. 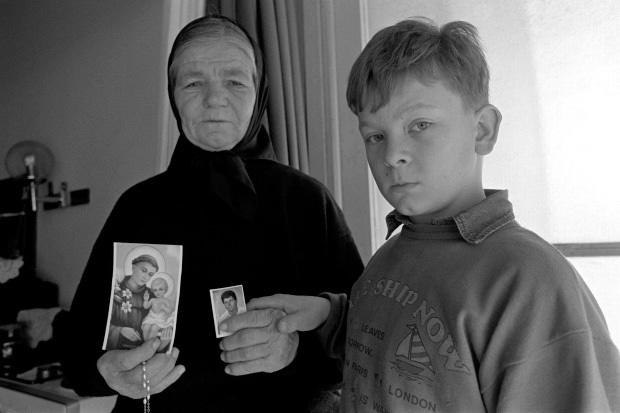 This image of Emil was used by Students Against GEnocide (SAGE) as a postcard and sent in their thousands to President Bill Clinton protesting at Serbian ethnic cleansing, genocide and demanded the lifting of an arms embargo which had denied Bosnian Muslims the right to defend themselves. 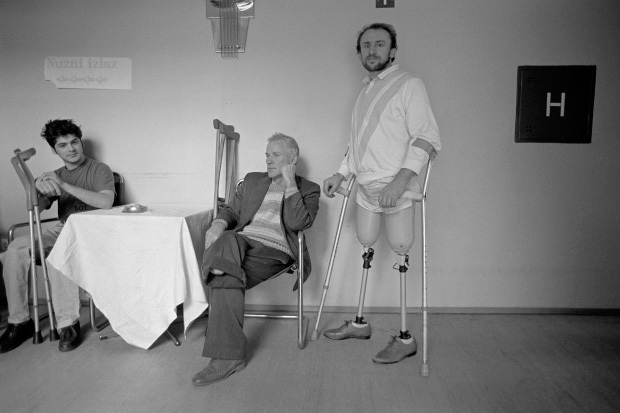 [BOS 36] Double amputee soldier with doctor at a rehabilitation centre. 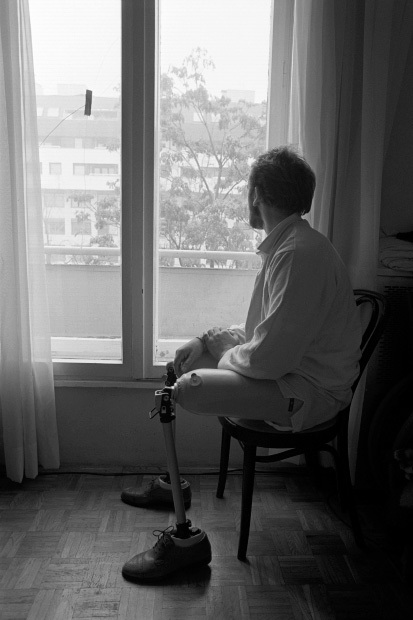 [BOS 37] Double amputee soldier, the plaster on the window covers a bullet hole. [BOS 38] He practices walking down the corridor. [BOS 39] Amputees at a rehabilitation centre. [BOS 40] Civilian amputees injured by bomblets from cluster bombs. Cluster bombs were dropped over a wide area surrounding Tuzla from Serbian jets. These bomblets are designed to detonate and maim when stood on or touched. [BOS 41] Civilian amputee and her son. 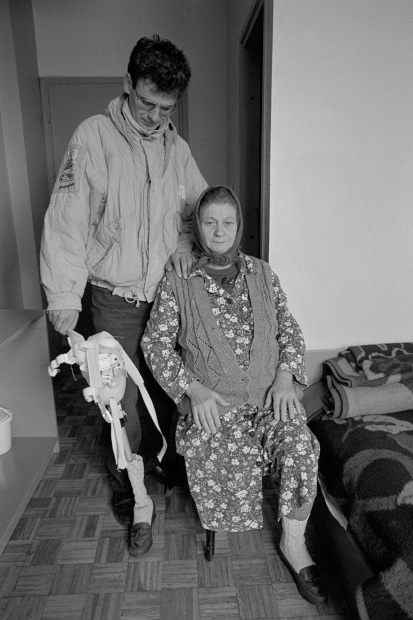 She lost her leg after standing on an unexploded bomblet from a cluster bomb. 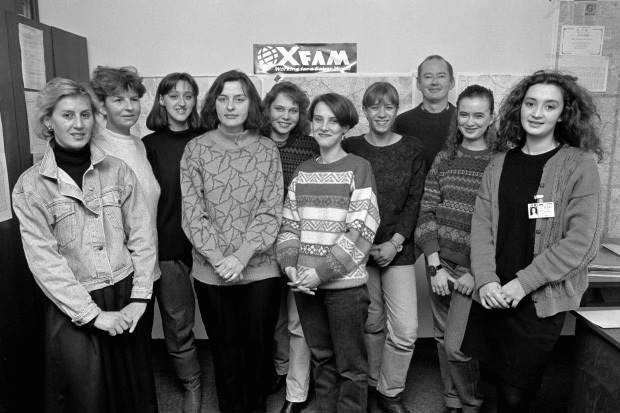 [BOS 42] Staff at Oxfam’s office Tuzla, December 1993. Many thanks to Oxfam’s Bosnia representative in Tuzla, Andrew Chadwick, back row and Jasmina Husanović Oxfam’s programme manager, translator and facilitator, front row, far right. My return journey to Split from Tuzla was made overland by UN armoured personnel carrier to the Holiday Inn, Sarajevo, then by C-130 Hercules military transporter to Split airport. 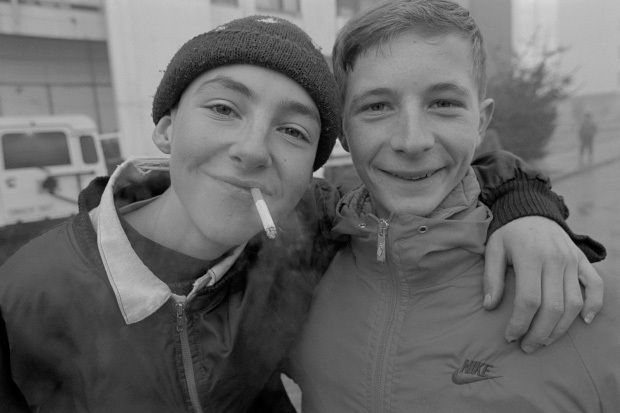 This assignment was shot on b/w and colour transparency 35mm film. Only the b/w photographs are illustrated in this webpage. Thanks to Geoff Sayer from Oxfam’s Information Department for his support throughout this assignment.